Russia’s United Aircraft Corporation (UAC) expanded the role of one of its primary civil assets, Sukhoi Civil Aircraft Company (SCAC), which is responsible for the Sukhoi Superjet 100 (SSJ100) regional jetliner program. Apart from the revision of the SSJ 100 program following the decision by strategic Italian partner Finmeccanica to reduce its participation, it was decided to use SCAC as a center that would manage all the UAC civil programs. 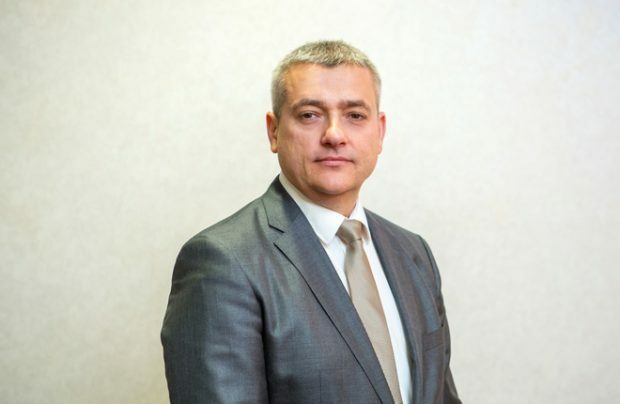 SCAC’s new president, Vladislav Masalov, told Russia & CIS Observer how the company will transform and what projects it will take on board. — What tasks is SCAC facing now that the Italian partner has reduced its participation in the SSJ 100 project? — Our only task is to ensure commercial sales of the aircraft. For this purpose we are intensifying work with potential operators and invest maximum effort in organizing aftersales support. At the upcoming MAKS air show in Zhukovsky in July, we are planning to sign another SSJ100 contract with Aeroflot. Another major operator, Mexico’s Interjet, will receive four airlines this year and another four in 2018. If we manage to coordinate a number of terms and conditions, Interjet will be prepared to sign a contract for 10 more aircraft. We are currently in talks with GTLK State Transport Leasing Company over a remarketing scheme which, as our experience suggests, could be popular with regional airlines. So the annual output of 35 airframes we are planning for the next several years is very much achievable. — There are already many SSJ100s in operation. How are you going to develop aftersales support? — I believe the artificial monopolization of the aftersales support services is the reason why operators have been having problems with the type. I will work to involve professional MRO providers in the process. We hope to sign an agreement shortly with FL Technics, one of the leading MRO providers. It would organize base and line maintenance outstations for our aircraft and would be offering OEM services to European customers. Another aspect of aftersales support is that we need to seriously expand the stock lists at our parts depots. I mean both our home-based stocks, which we are obliged to provide to customers, and consignment inventories at the operators’ end. This will require sizable investments, up to 15 billion rubles [$263 million] at the initial stage. We have also agreed with Interjet on component repairs at their technical base in Toluca. We selected 47 components they are prepared to repair, signed a license agreement, and handed over the relevant technical documentation to the operator. — What will SuperJet International JV be doing? — It will continue to customize SSJ100s for specific customers and deal with certification issues. All the exported airliners will be delivered to our Venice-based JV, which will install interiors, paint and fine-tune the aircraft. The JV will also continue to run a training center. SuperJet International employs a rather strong team of marketing consultants and sales managers, so it will continue to be responsible for sales. Only now the JV will have closer contacts with the SCAC commercial sector in Moscow. In the past 12 months we have taken part in all the talks held by the SuperJet International team. — What will the UAC civil division’s product line look like? — Apart from the SSJ100, the Irkut MC-21, and the future Russo-Chinese long-range widebody commercial aircraft, it will also include the renovated Ilyushin Il-114 turboprop. — How will the UAC civil programs be managed? — Everything will be managed through SCAC. I am planning to incorporate the widebody aircraft and Il-114 into the renovated SCAC first, to be followed by the MC-21 at a later stage. We are already setting up a department within the SCAC design bureau that will be working on the widebody program. We need to bring the administrative functions, sales, and aftersales support up to the senior decision-making level, i.e. to set up a single customer support center for all civil aircraft programs. It could be set up on the premises of SCAC or as a standalone legal entity; we will decide later this year. Seeing as we are incorporating new programs into SCAC, we will need to change the company name to a more generic one shortly. The rebranding decision, however, will be for the UAC to make.